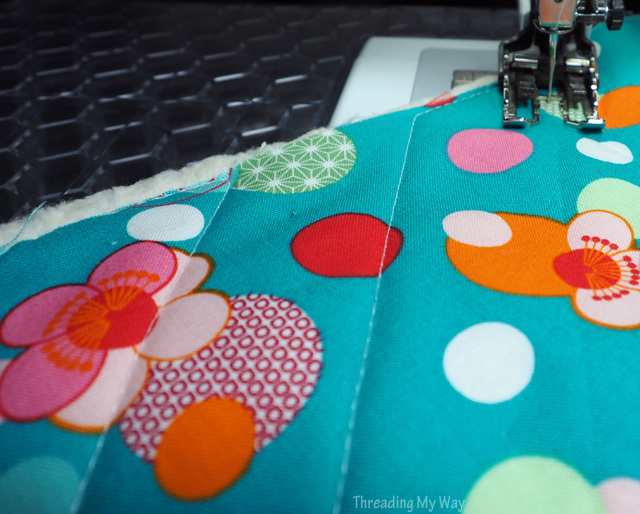 Often as not, I eyeball stitching lines when quilting. There are times, however, when precision is important and that's when I reach for my hera marker. 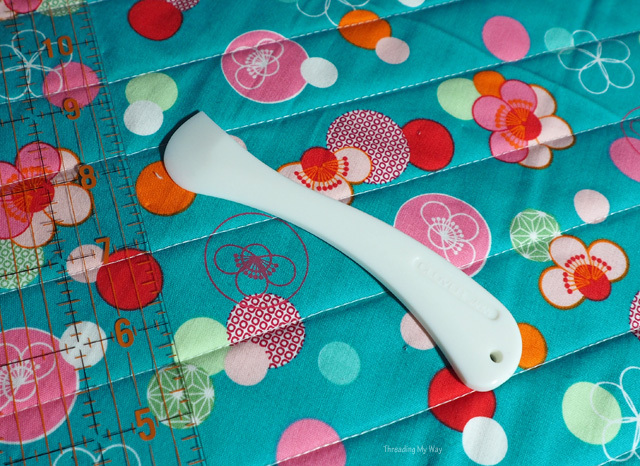 It's a handy little tool that makes temporary creases in the fabric. 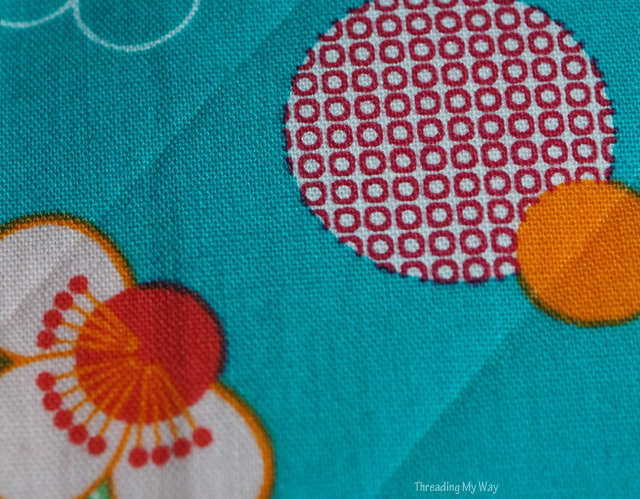 The creases / lines are visible on both sides of the fabric, and are distinct enough that they can be seen easily and used as a guide when sewing. Until a quilting retreat a couple of years ago, I didn't even know there was such a thing as a hera marker. I'm not keen on marking the right side of fabric with pencils / pens / chalk - just in case they don't come off. Also because removing the marks is another step in the process, and I'm basically lazy. There are possibly different brands of hera markers. I honestly don't know. Mine's made by Clover, because that's what was for sale at the quilting retreat. As you can imagine, the creases don't remain in the fabric indefinitely - they disappear after a while, so perhaps hera markers are best suited to small projects. It's easy to use a hera marker to make straight lines - just run it along the edge of a ruler, as you would a pencil. What tips, or horror stories, do you have for marking fabrics? That's great for such tools for marking. I like Frixon markers, but never mark on a dark fabric with Frixon markers because I learned the hard way that after ironing, the color of the marker may disappear, but a white line is visible and will not iron or wash out! I like to use Clover brand chalk powder markers too as they brush away. A sliver of soap is good for marking dark fabrics. Well I definitely need one of those! I always have eyeballed my lines, but sometimes it goes poorly for me. 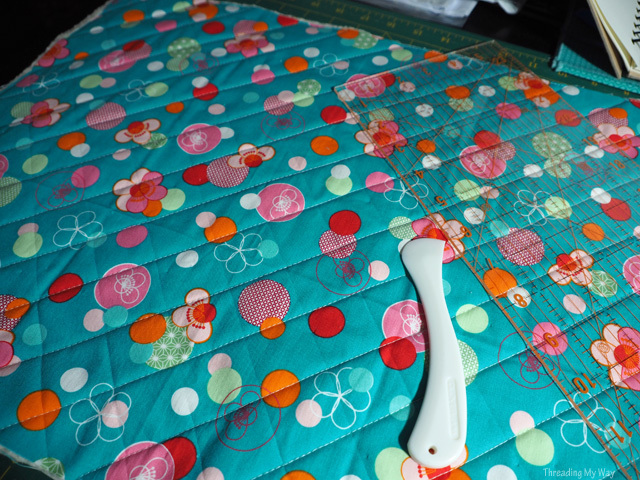 I'm another one who uses Frixon pens when marking full sized quilts. I have found that the pens can leave a 'ghost' mark on dark fabric but I now put the finished quilt through my washing machine on a hot wash before ironing it, as the heat from the iron seems to set the ink. This appears to have cured the ghosting problem but I would always recommend a trial run on a fabric scrap first! Thanks for the info on Frixon pens, Josie. They do seem to be very popular. Think it's time I tried one.